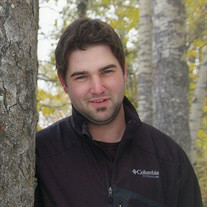 It is with heartfelt sadness we announce the passing of Dustin Hill who was born and raised in Fort St. John. Dustin passed away Monday, March 5, 2018 at 33 years of age. He will always be remembered for his kindness, his amazing sense of humour and will be sadly missed and cherished by his family and friends. In lieu of flowers expressions of sympathy can be made in memory of Dustin to the Fort St. John Mental Health & Addiction Services or the Fort St. John Child Development Center.